We are sorry for any disapointment this may have caused but both Trainz and MTH appreciate your understanding! Lionel 2010 Catalogs are Released! The Lionel Signature Edition Volume One 2010 and the Lionel 2010 Ready-to-Run Catalog are now available online. Have fun exploring! See if you agree with Lionel's confidence that there is something for just about everyone in these colorful publications. Take a look on the Lionel website to view the new offerings. Trainz will have all of our pre-order pricing for these items listed soon on the Trainz pre-order website very soon. Be sure to watch out for two new innovations we are adding to our pre-order program this year as well to save you money and to provide some extra peace of mind with Lionel's electronic loaded products. Here's just a little bit of what you will find in the 2010 Lionel Catalogs. Iconic Lionel locomotives get the VISION treatment! Start exploring on page 6! New product line introduced – Postwar Scale! Lionel's most famous postwar schemes are now available on full scale Standard O locomotives and cars. Page 16 contains all the details! Our VISION Line features are making their way to the Classic Line! And, the fun is starting with LionMaster locomotives – see page 56! Our Premium Traditional Sets have gone to a whole new level! More track, spectacular paint schemes, and a brand new feature on our diesel engines you won't want to miss! These start on page 60! Lionel's Conventional Classic pieces are far superior in value, features, and operation to any other on the market! Three, new Conventional Classics sets are introduced on pages 70-75! Accessories are given the attention they deserve! See some of most detailed features we've ever offered! Start exploring on page 97 to add a touch of both realism and whimsy to your layout! K-Line by Lionel fans will now see all their favorite products in one catalog! And, with 50 new products, too! The excitement starts on page 132! American Flyer fans will not be disappointed with the addition of Lionel's high-end details and features, as well as a blast from the past with the re-issue of a rare set from 1959! See page 166! A classic, yet affordable, set series is back! This time, with a special bonus DVD – see page 4! Two tourist destination railroads are now available in Lionel sets! See pages 28-29! A Ready-to-Run set with a Berkshire engine comes with enough track to make a deluxe Figure "8" layout! This not-to-be-missed set is on page 32! Lionel is now offering an easy way to create a scene on your layout! Many of our new Ready-to-Run sets now include two-sided dioramas! New G-Gauge Battery-Operated set sure to please West Coast fans is on page 50! Operating accessories to add to your Lionel Little Lines set are sure to please your youngest engineer! See page 53! If you purchased the Santa Fe F3's, the colors are not quite right and Lionel is offering replacement shells. Register here with Lionel to receive a free set of shells. To register for a replacement conventional classic set box from Lionel, click here. Many of these boxes were cut open after they were originally sealed to add warranty cards, or something similar. 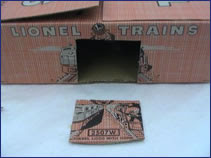 In the process many of the nice classic postwar style boxes were cut with a big X cut, making them less than collectible, so Lionel is rectifying the problem, but you need to register on-line to get your replacement box(es). I have heard that this offer may expire on March 31,2010, so please check it soon! If you bought any of these items from Trainz, we have already notified you via email. 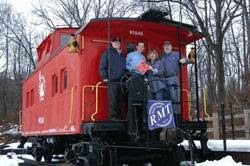 The new Lionel 2010 Signature Edition Volume 1 catalog will be posted on the Lionel website Friday March 26,2010. Lionel just posted their catalog countdown clock, but with only a little over a days notice. Trainz will announce our new pre-order program for this catalog early the week of March 29, 2010. Watch for it on our pre-order site. G-gauge model railroad manufacturer Aristo-Craft Trains and O-gauge maker Ready Made Trains (RMT) have entered into a joint marketing agreement that gives the latter access to the former’s worldwide distribution channels. The deal also helps products for both companies to market faster. “Both Aristo-Craft and RMT products are made at the same factory complex in China, so efficiency of shipping will mean that goods can ship in a timely manner when manufactured, rather than when a container-load quantity has been reached for either company,” Polk said. Polk and Matuch are well acquainted. Prior to starting RMT in 2003, Matuch was product manager at Aristo-Craft and later served as vice-president operations/licensing at Taylor Made Trucks. Lionel Expanding to Buy Marklin? Well I heard about that a while ago back in Mid January, but I ran across this article from Model retailer magazine, which indicates that Marklin is on the rebound and it is reported that although a team from Lionel did visit the great toy and train maker, that they are not currently interested. The new reorganized Marklin is making money and has apparently drawn interest from the biggest name in American model railroading, while Faller creditors have approved the company's reorganization plan. Märklin administrator Michael Pluta has been quoted recently in the German press as saying the company generated 7 million Euro ($10.2 million) in earnings from April-December 2009. An article in the Südwest Presse newspaper in Ulm said the earnings figures come on 110 million Euro ($160.2 million) in sales during FY 2009. The earnings figure is before interest and taxes. Additionally, the publication says a delegation from U.S. toy train manufacturer Lionel has visited Märklin's production facilities in Göppingen in Germany and Györ in Hungary. However; a source inside Lionel says the company will not make a bid for Märklin. Pluta, says he's under no pressure to get the company sold. In late 2009, he said a sale might be possible in 2010. He added Märklin is slated to release 400 new products this year.